A professional team... Customized service... More than 10 Years experience... All there for you, to enjoy a unique heliski! 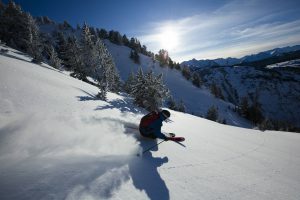 The Val d'Aran offers over 400 km2 skiable terrain, at 1,500 to 3,000 meters altitude, without any landing restriction points. Therefore, it offers endless possibilities (over 120 runs), distributed in five areas, making it possible to adapt our trips to conditions and to all kind of skier’s requirements. Discover the other side of Val d'Aran. 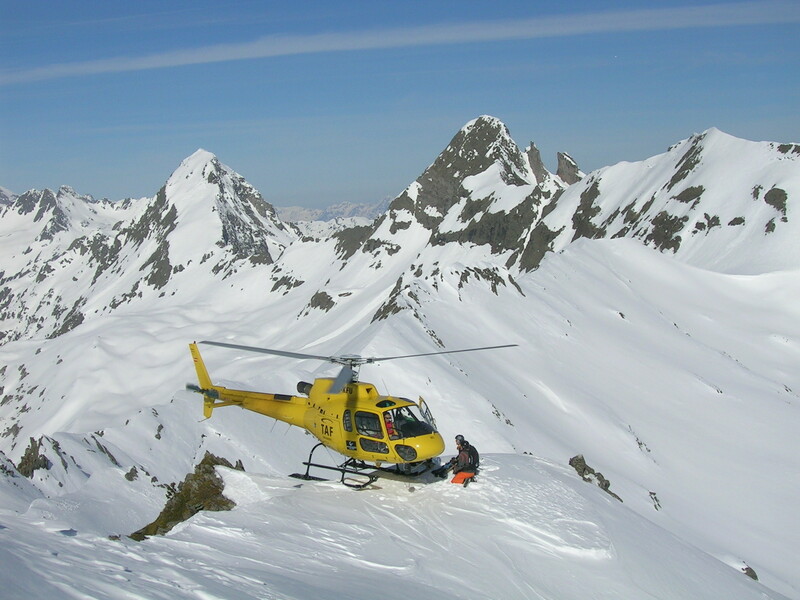 A wild and surprising territory with all kind of descents: from easy runs in soft slopes, to narrow corridors... We design heliski activities completely adapted to your needs. We are waiting for you, for an amazing day! Our main objective is to share our passion for the mountains and skiing with you, to show you the magic Val d'Aran in its best conditions. We organize your stay tailor-made; this way you choose the rhythm and intensity of the activity. Guarantee! In case of cancellation due to bad weather we offer our clients the possibility to change the date or we will issue a full refund. Our office is nearby the heliport in Vielha. All our heliski activities start with a safety and safety equipment briefing, helicopter briefing and practice with the avalanche transceiver. Helicopters used for heliskiing are H125, previously named Eurocopters B3, from Habock Aviation Group. These aircrafts have proven to be ideal for this activity with a capacity of 5 passengers (4 riders + 1 guide). It is the only aircraft capable of landing on summits such as Everest. During all the season we hire a snow expert; his work consists of preparing snow profiles and analyzing all information regarding stability. His studies allow us to know the evolution of the terrain in the last hours. Moreover, we count on the great support of LAUEGI (Centre of Avalanches in Val d’ Aran), who participate in the daily avalanche bulletin preparation. 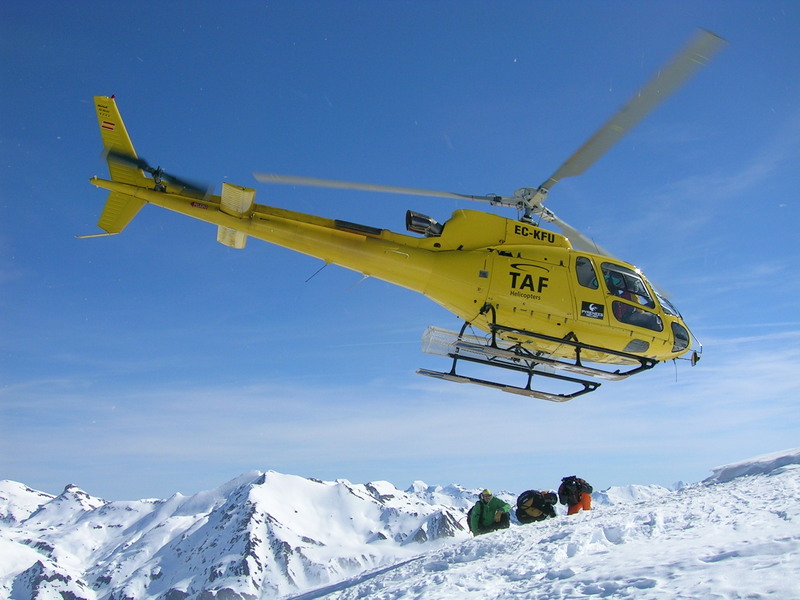 In case of accident and depending on the severity, we have a direct link with the rescue team of Val d’Aran (GRM Pòmpiers Aran), that allows a fast evacuation due to the availability of our helicopter. What kind of skis or snowboard should I bring? 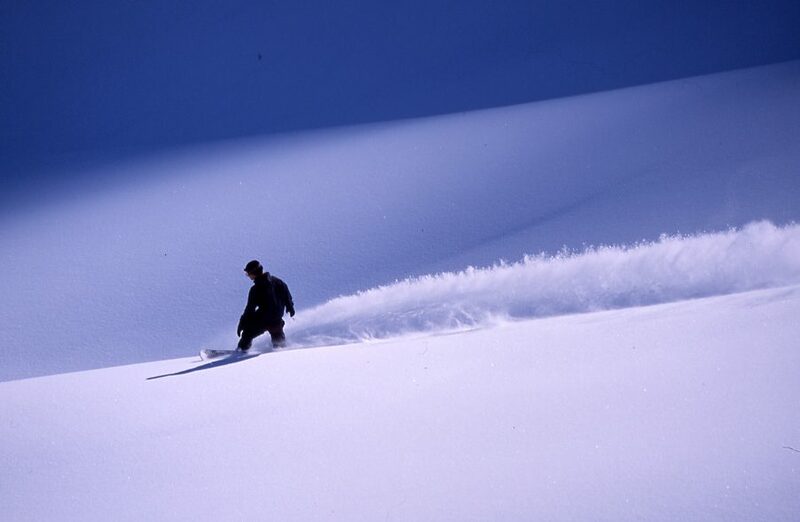 It is preferable to use wide skis (minimum 90mm wide) to increase floatation on powder snow. Snowboarders should choose a long and wide board to avoid getting stuck. What ski level is recommended for Heliski? 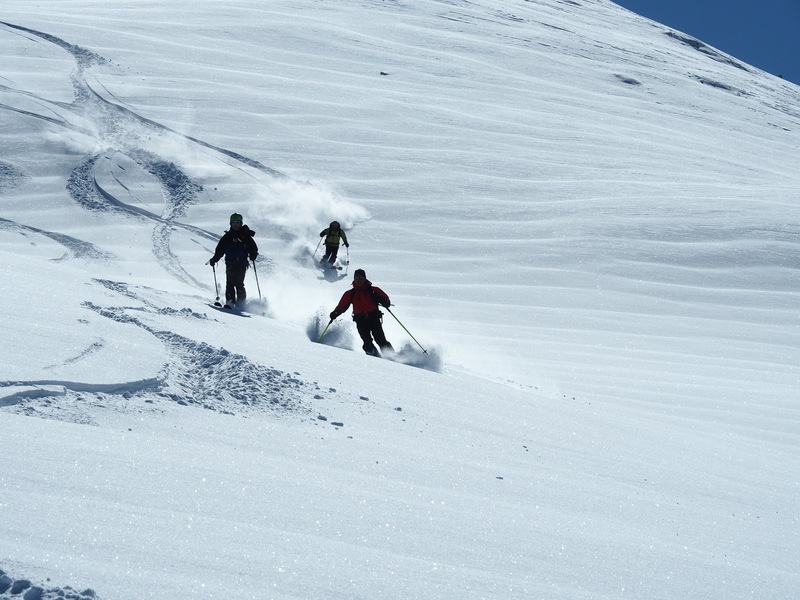 It´s not necessary to be a good skier in order to do heliski. If you know how to turn keeping your skis parallel, you can do heliski. Over and above, so that you can enjoy and make the most of you heliski experience, it is preferable you are in good physical condition. How many people can the helicopter transport? The helicopter can carry a maximum of 6 persons: the pilot, the guide, plus 4 persons. So it is preferable to form a group of 4 people, but you also book your seat individually. A certified guide leads each group. What is the average vertical drop of a run? The average vertical drop of the runs is approximately 700m. The runs can vary from 600 and 1,000 meters vertical drop. What possibilities does heliskiing in the Val d'Aran offer? The Val d'Aran offers over 400-km2 skiable terrains, at 3,000 to 1,500 meters altitude, without any landing restriction points. Therefore, it offers endless possibilities over 120 runs, distributed in five areas, making it possible to adapt our trips to conditions and to all kind of skier’s requirements. How much vertical drop can you ski in 1 day? For a group in good physical condition and with good off-piste skiing technique, it is possible to do up to 12/13 rotations in one day that would be around of 8,500/9,500 meters vertical drop. How many minutes does the flight to the first runs take? The first descents are very close to the heliport, it takes roughly 4 or 5 minutes to reach the top of the mountain. 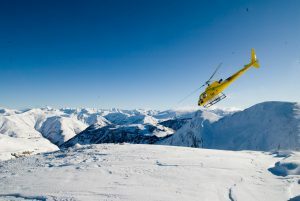 When is the best moment of the season to heliski in Val d'Aran? We could say we have two seasons: the cold season, which is from December to the end of February, then from March to April we enjoy spring snow conditions. The season can starts early in December and usually ends late April. The fastest way to get to Val d'Aran is flying to Tarbes or Toulouse. Val d'Aran is 1.30- 2.00h from these two French airports. From Barcelona, the drive takes around 4h 30min.